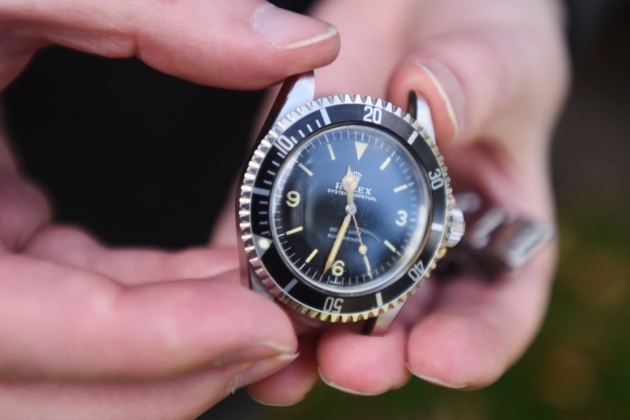 Rare Rolex Submariner Explorer dial Sold for £230K at Lockdales Yesterday in Ipswich it smashed the previous record for this model. 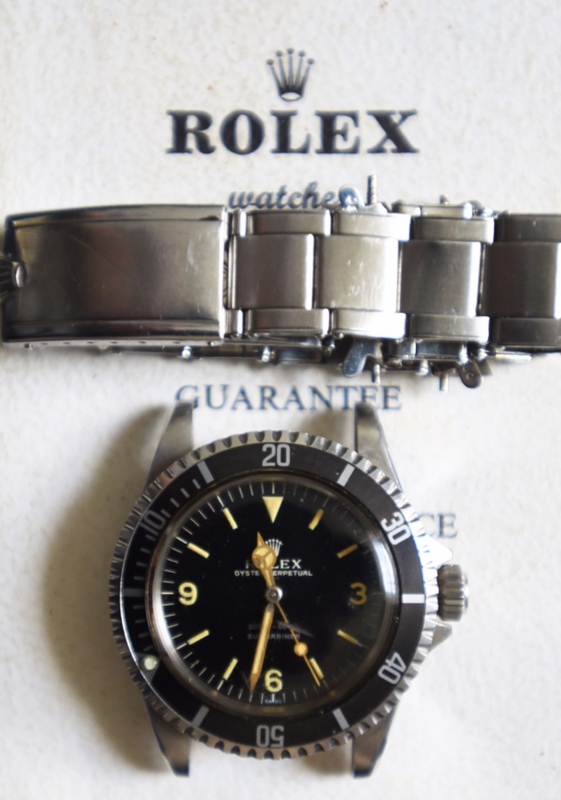 The watch is Rolex Submariner 5513 which is a great watch in itself but Rolex back in the 1960’s added the 9, 6, and 3 to dial and only made a short production run. The owner of the piece said he nearly damaged the watch when it dropped in a cement mixer some time ago but it seem to have survived the fall. 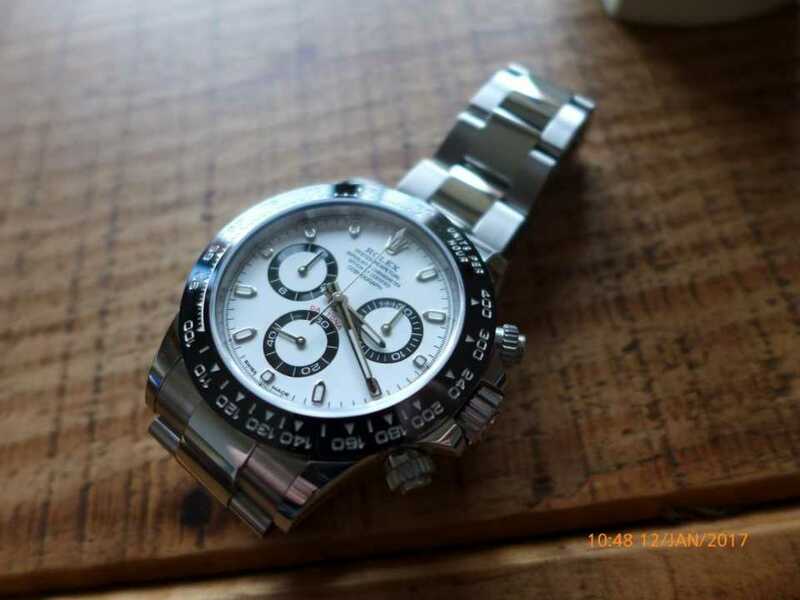 Now 60 years on the watch are collectible as hell, the more original it is the more the watch does at auction these type of pieces always end up in top auction houses around the world to bring the premium when the hammer falls you rarely see one for sale in a top vintage Rolex shop. The auction house estimated £7000 to £8000 which would be correct for a fantastic condition 5513, but this was the biggest sale to date since opening in 1996! The commission on this sale was £38k a nice days work for Lockdales. The 5513 has a stunning patina on the metres first dial all matching just perfect, the bezel looks original to the watch and the lugs just look pucker for 60 years of age with the original expandable oyster bracelet. This model is slightly rarer with underline under the “Swiss” at 6 o clock. 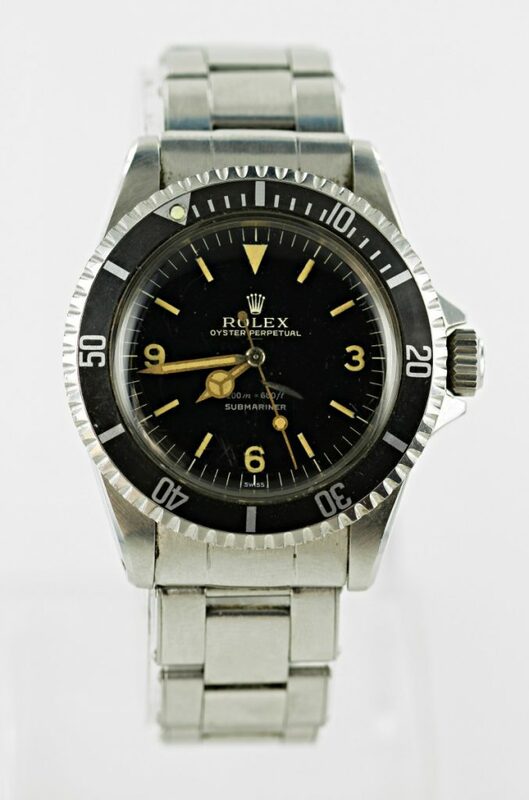 The watch had bidders in the room from all over the world in total over 100 bidders online for the watch in the end a collector from Italy won the auction to take home the stunning Rolex Submariner explorer dial. This Rolex around the 1960,s would have been around £70 to purchase and today’s equivalent of £1000, that was great investment piece for the owner god knows what the hammer price would be with box and papers with the original sales receipt! The Paul Newman Daytona is coming up for sale shortly and will break world records as the most expensive watch to date.